A veteran of stage and screen, Peter Berkrot's career spans four decades. Highlights include feature roles in Caddyshack and Showtime's Brotherhood, and appearances on America's Most Wanted and Unsolved Mysteries. His voice can be heard on television, radio, video games, documentaries, and industrials. He is a prominent acting coach and a regular contributor to the award-winning news program Frontline produced by WGBH in Boston. Peter served as director of narration for the Emmy-nominated The Truth About Cancer. Peter has recorded over 170 audiobooks, over 100 for children. 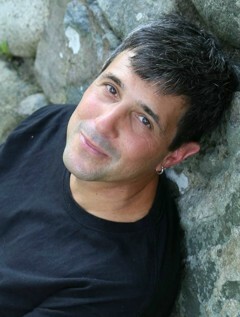 He has been nominated for an Audie Award and has received a number of AudioFile Earphones Awards and starred reviews. His favorite titles include Toby and the Secrets of the Tree by Timotee de Fombelle, Unholy Night by Seth Grahame-Smith, The Accident by Linwood Barclay, and the Last Policeman trilogy by Ben H. Winters.